Every site owner knows spam. Spam comes in at increasing speed as soon as you open some kind of form to the public. Fighting it is vital for your business as well as your health. CleanTalk does not come on prescription but is affordable nonetheless. CleanTalk is a direct competitor to Automattic’s Akismet. The most obvious difference is the price. CleanTalk comes in at 7.50 EUR per year, which equals about 8 USD, while Akismet costs 5 EUR per month, adding up to 60 EUR per year. Quite a difference, and one that will most likely be high enough to mark the difference between having a site protected or not. In this regard, CleanTalk helps make the web a more secure place by keeping protection prices low. Another difference is that CleanTalk is not only available as a WordPress plugin but for a wide variety of different platforms, such as Drupal, Joomla, Magento, Typo3 WooCommerce, vBullletin and more. On top of that, you can use it in PHP, Perl, Python, C# and other programming languages via its own API. Mobile applications for iOS and Android let you access the statistics dashboard while on the road. Thus it’s no exaggeration to say that CleanTalk is a one-stop shop for everyone who is seeking an all-round spam protection solution. CleanTalk uses no captchas, does not ask questions, does not ask you to count animals or solve math tasks. It seems they don’t do all of that modern stuff that the protection industry came up with. And that’s a good thing. Instead of making it harder for your visitors to interact with your site, CleanTalk steps back into the shadows and does its work entirely unseen. The concept’s core is the cloud. Every form entry on your site is sent to CloudTalk servers where it gets checked against a massive database, not only of known spam IPs and email addresses but also of improper language and other inappropriate wording. Furthermore, CleanTalk checks whether a comment really deals with the post that it is supposed to sit under. You can as well populate your private blacklists or block people from certain countries entirely. CleanTalk claims that they reach an accuracy of 99.998 percent in automatic mode. As CleanTalk comes as a software as a service (SaaS), it has a dashboard for you that does not leave a lot of questions unanswered. All the form requests are logged in the cloud, and elaborate statistics let you explore who sent what from where. Upon activation of CleanTalk, you can have an access key issued to you by simply submitting your email address and the URL of the site you want to use CleanTalk on. Set which forms shall be protected and you’re done. From now on you will not return to the WordPress backend for your spam statistics. Instead, you will head over to the CleanTalk dashboard where you will find all the nasty details to the spam that keeps being submitted to your site. If you want to take this thing even one step further, you can opt to activate CleanTalk’s SpamFireWall. The feature is a free add-on to the CleanTalk plugins and also available via API calls. Once activated each and every visit to your site will be validated against the CleanTalk database. Does the visitor IP find a match in the spam database the visit will not happen, thus taking load off of your server. With more than two million definitely known spam IPs this might well make a notable difference. Even should you run ten websites on CleanTalk you would only pay 43.10 EUR per year. Compare that to any other service out there and try to find a better offer. Start your 7-day free trial and see what CleanTalk can do for you. Spamming is very popular in all forms either for website or software applications. 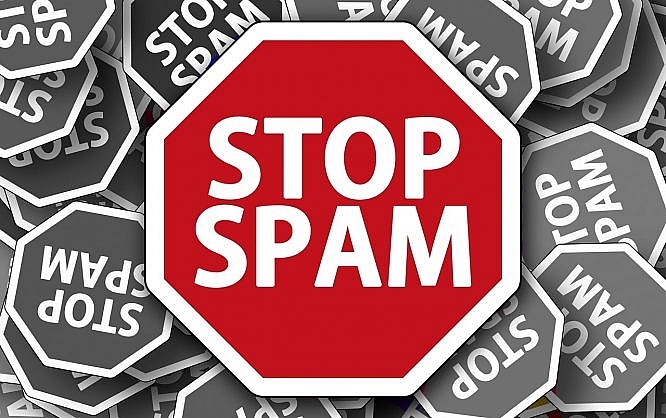 Nowadays everyone believe in spamming, i have researched over the web for spam protection and brought some tools to control all of these things but nothing worked for it. Can clean talk is reliable enough to help me to get rid of spamming?